Entered into some financial difficulties a while back and the debts are piling up, I have now got Lowell chasing 4 separate debts, so will create thread for each??? Thank you for contacting us about this account. We enclose a copy of your credit agreement with 118 118 money. This is a reconstituted agreement - which includes all prescribed terms as required by the Consumer Credit Act 1974. We also enclose copy statements. We have included a Frequently Asked Quesitons sheet which, hopefully, answers any queries you may have regarding these copy documents. We trust that this now answers your query and look forward to hearing from you to discuss affordable repayment options. If you do have any further questions, please call us on 03335565733 or email post@lowellgroup.co.uk. Honestly can't remember, most likely, the loan was taken out in 2016. Hey folks, sending the following IRL Complaint unless advised otherwise. I wish to log a formal complaint in relation to irresponsible lending. To begin with, you should formally be aware, the FCA took over regulation of the credit market from April 2014 and then imposed caps on all high-cost short-term credit (HCSTC) in 2015. I am bringing this to your attention because I believe that you as a lender did not treat me with Due Respect or use Due Diligence and have allowed me to get into this position. I would also expect a company to check bank statements as part of their underwriting criteria, again you as a lender failed to request or examine any of my statements at the time the loan was offered. I am also aware that lenders may not have used Credit Reference Agencies before regulations came in. 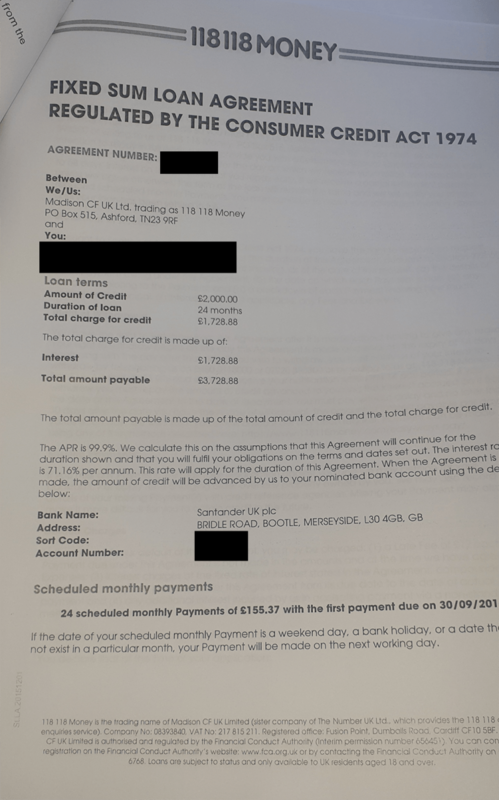 However, although CallCredit was the main agency that firms did use if they did, I would still expect to see some form of credit check completed. I await your response on how this complaint can be resolved by your company. as for your other debts ..hope a CCA request etc has been action and you are not blindly paying a DCA without checks.?? I can now confirm that all DCAs have been sent the CCA. You also need to see notices of assignment under section 139 of theLOPa 1925, lso default notices under the CCA section 87 for all accounts sold to Lowell's. 136Legal assignments of things in action. Please supply a copy of the default notice issued under section 87 of the Consumer Credit Act 1974. You will be aware that under the Act, a default notice is required before an action can be brought or account terminated. In addition, a notice under the LOPA is required before an account can be assigned.